Per tradition of my amazing agency siblings, we celebrate each book release with themed photographs. (We are all represented by the fantastic Lauren MacLeod with The Strothman Agency. Go, Clan MacLeod!) 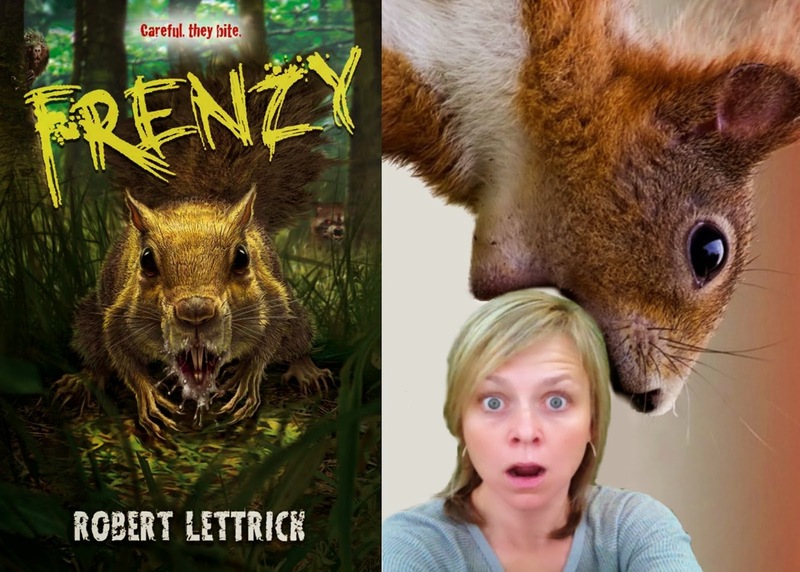 Today is the book release of Frenzy by Robert Letterick. I'm particularly excited about this book because I know from first hand experience SQUIRRELS ARE EVIL! Yep, I've been attacked, in my own home none the less. (Go here to read about "The Night the Squirrels Attacked" if you're so inclined.) I hope my copy is waiting in my mailbox today. My boys are going to love this book.